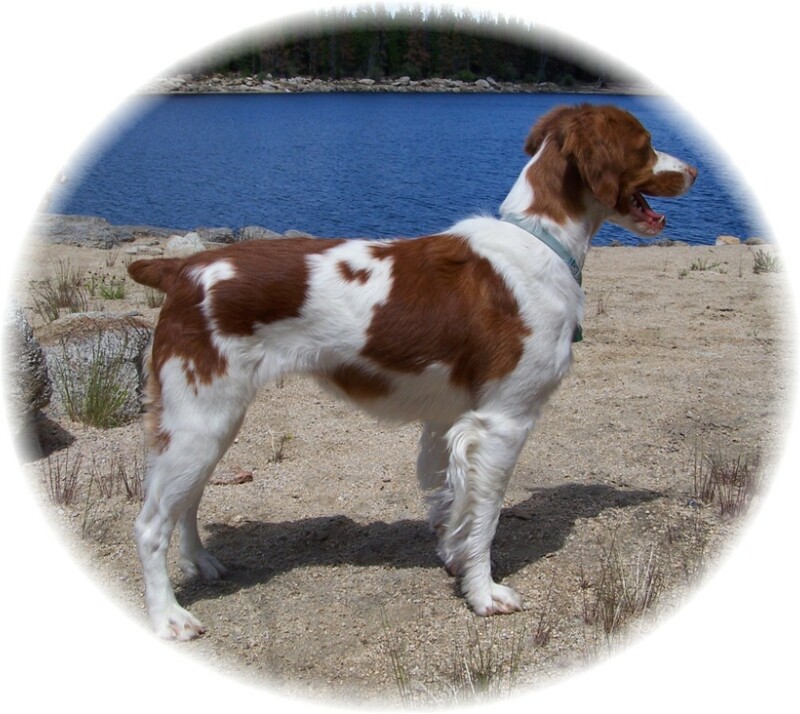 CH Warbonnet Golden Magpie JH "Maggie"
Pup Photos : Pup name Vixen. 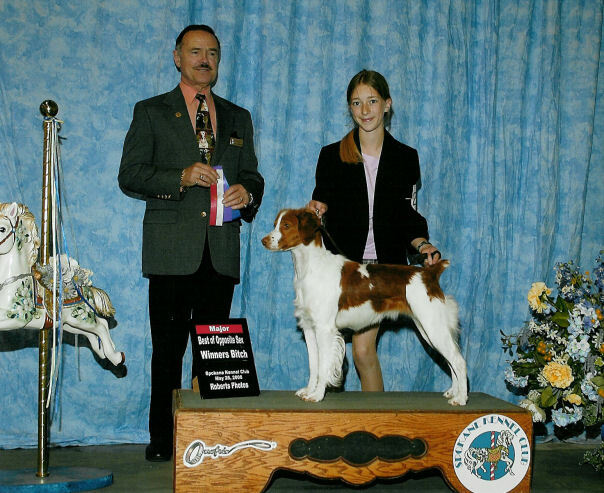 Sari handling Maggie to a Major show win in Spokane, WA. 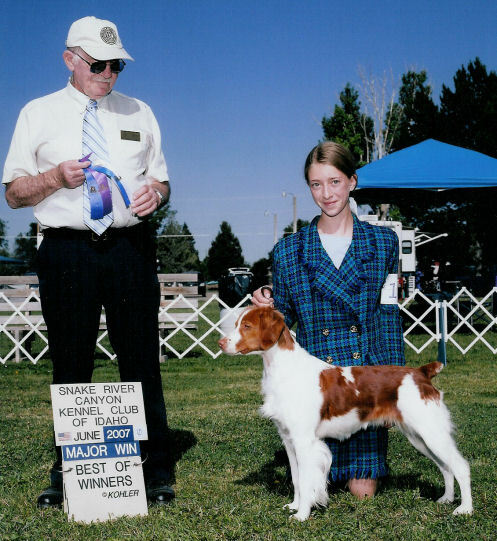 Sari showing Maggie in Junior Handling, 2007. 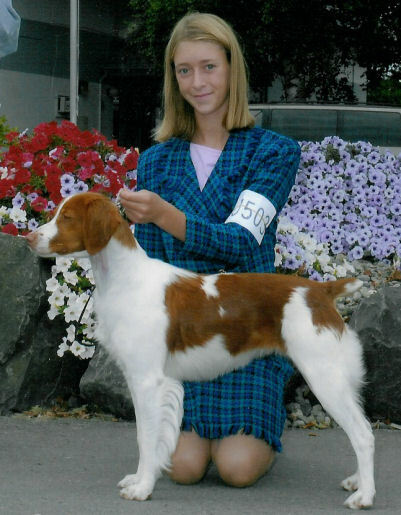 Sari handling Maggie to her 3rd Major in Enumclaw, WA. Aug., 2007. 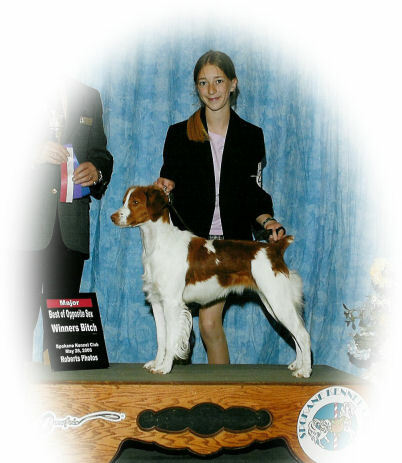 Maggie's second Major (4pts.) in ID with Sari handling, June, 2007. 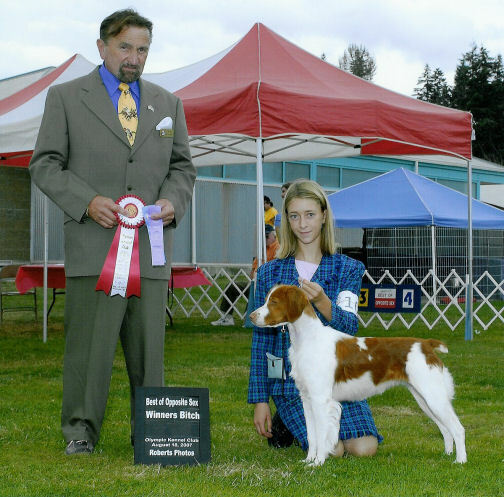 Sari handling Maggie to her first major show win in Spokane, WA, Memmorial Day weekend, 2006. 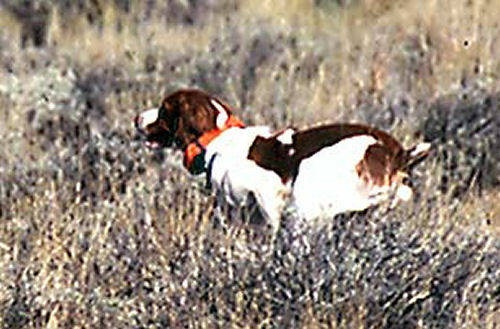 Maggie on point while training, spring, 2007. 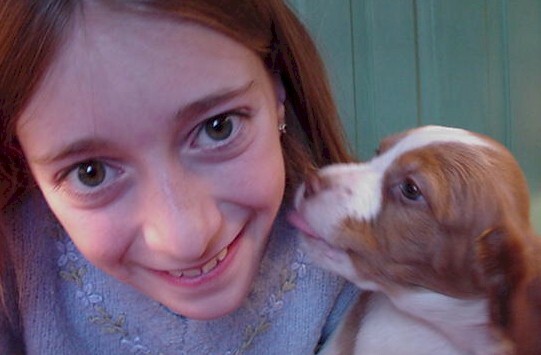 Sari with Maggie at 43 days old... always a friendly Britt! 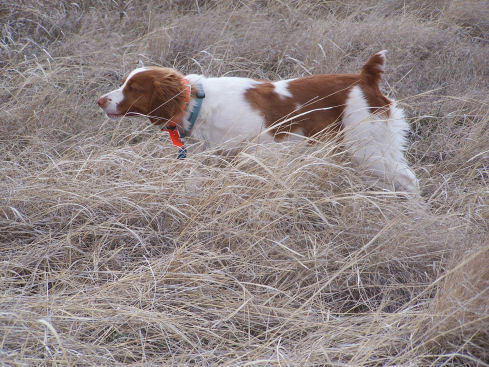 Maggie in mid stride, hunting. She can really move out!